View From Section U: UMass’ Rival? The offseason has given me an opportunity to use my semi-weekly View From Section U column to explore topics I probably wouldn’t get a chance to during the season. My post covering the history of freshman heavy squads at UMass and my open letter to Timothy Anderson in support of a hockey band were both very enjoyable to write. And from the tremendous feedback relating to the hockey band letter, FTT readers were as passionate about reading it as I was writing it. So this week I take a stab at a topic that could probably be covered in just a few words in other parts of the hockey world. Just who is UMass’ rival? Ask that question at Boston University, Colorado College, or Michigan State and the answer comes with quickness and maybe a bit of a snarl. But ask a UMass hockey fan that question and you’ll likely get some hemming and hawing and about a dozen different answers. For a number of reasons, UMass has had a tough time establishing a traditional rival in any sports. For the longest time Temple was seen as the main rival in basketball. Yet in football New Hampshire or Delaware were the opponents people would circle on the schedule. Lacrosse games against Syracuse saw Garber Field bursting at the seams. But even all of those rivalries have waxed and waned over the time. UMass, playing in multiple conferences, in two different football divisions, with distance from like schools and varying levels of success, has had a tough time developing rivalries through its history. Hockey has been no exception to this. Over the years there have been games, or series of games, that have had all the drama and emotion of a rivalry. But a year or two later that opponent fades back into the pack. So let us explore UMass’ potential rivalries and the history and reasoning behind each of them. For the sake of just presenting them as is and not trying to rank them myself, I’m listing them in alphabetical order. Ok, you’re probably laughing. But due to the fact that they’re the only other DI school in Western Mass, I felt I needed to at least include them. But pure geographic proximity doesn’t necessarily make a rivalry. There needs to be give and take and the sense that something is on the line when the teams play. That’s not there when AIC makes the trip up to the Mullins for their semi-regular beating in the modern era of UMass hockey. Although I’d be remiss if I didn’t note that UMass has an all-time record against the Yellow Jackets of 11-20-1 (you’re welcome, Donnie). However the last time they won was 1966. UMass first played BC way back in 1920, with the Aggies of Massachusetts Agricultural College taking the first game 5-4. But the teams played very little after that. When UMass joined Hockey East in the mid-90’s the teams were actually on pretty level footing and even played a one game playoff in 94-95 to decide who would get to move onto the conference quarterfinals. UMass won. But shortly after BC hired Jerry York and the teams have had very different overall results since. On paper this looks like it could be a very good rivalry. These are the two largest college athletic programs in the state. They play regularly in almost all the other sports, with even the matchup on the gridiron taking on a more significant role in the future. You also have the interesting dynamic of the snooty private school in Boston Newton versus the blue collar your state U in the hinterlands beyond 495. But while the Eagles have drawn good crowds to the Mullins, these teams just don’t play big games against each other. And when they do, UMass loses. Like BC, UMass first played BU and first beat BU in 1920. But also like BC, the record has been decidedly in BU’s favor ever since. But there have been some dramatic games against the Terriers, like the Chris Capraro overtime game winner or more recently knocking off BU in consecutive years when they were ranked in the top 2 of the country. Still, the drama and attention of those games have been pretty much one-sided, likely barely even remembered by Terrier fans. Another problem with trying to develop a rivalry with BC or BU is that they already have one of the greatest rivalries in all of college hockey; with each other. This one seems like it should be more of a natural rival. Here you have flagship versus satellite campus. The Lowell fans always seem to think we’re trying to get rid of their program and the UMass fans are tired of the lesser campuses sullying our good name. Lowell has the advantage in overall record but it’s much closer than UMass’ versus other Hockey East teams. But there are a few problems with a potential rivalry. First, while Lowell fans (and players) certainly get excited to try and take down the flagship, the sister school seems to do little to create excitement among the general UMass population. The buzz surrounding a Lowell game isn’t much different than Providence to most in the Mullins. Secondly, these teams have rarely played meaningful games. In fact, the biggest storyline surrounding these teams were actually Lowell wins that turned into losses back in 2004 when they had to forfeit games for using an ineligible player. As a result Lowell had to visit the Mullins in the quarterfinals and promptly got swept. The last issue is that Lowell already has somewhat of a rivalry with neighboring Merrimack. There’s certainly a lot of potential to this rivalry but the teams need some heart wrenching games with everything on the line for the fans to buy into it. There was a time when a major rivalry between these teams was well on its way to fruition. Going into the 2003 quarterfinals UMass had never beaten the Black Bears in Orono, yet shocked them in those games thanks some heroic goaltending by Gabe Winer. The next year the teams met again in arguably the most thrilling Hockey East Championship Game ever, with Maine winning in the third overtime. The teams played some exciting games in the next few years and then would play some key games again in 2007. With home ice and a potential NCAA berth on the line UMass hosted Maine in the last weekend of the regular season and promptly swept them. As a reward UMass got home ice for the quarterfinals and again played host to Maine. And again they swept them. The four wins helped UMass squeak into the field of 16 for the NCAA tournament and no doubt resulted in a lot of angst up north as fan called for Tim Whitehead’s head. Of course both teams ended up in the same bracket in the NCAAs and met in the second round with a trip to the Frozen Four on the line. UMass could not make it five in a row however and bowed out 3-1. I would argue that UMass has played and won more important games against Maine than all the other Hockey East games combined. Unfortunately, the Bears already have a well established rivalry with nearby UNH so it’s tough to determine just how deep a rivalry the Minutemen could develop with them. UMass has also played some key games against UNH, such as Hockey East semifinal games in 2003 and 2004. But outside of that and some exciting regular season games, these teams haven’t played a ton of real key games in terms of the big picture. The natural rivalry between these schools will probably wane with UMass moving to the MAC and the annual football game, where the MVP is awarded the Bill Knight Trophy, is no longer played. The Huskies are probably the most natural all-sport rival for UMass. History between the teams go back decades to when they were the powers of the old Yankee Conference. However an unfortunate thing happened along the way, UConn stopped playing UMass in a lot of those sports. John Calipari brought the UMass basketball program from the dregs to a national power and Jim Calhoun turned chicken. UConn used their clout for a stadium and Big East membership and left UMass behind in football, though not before the Minutemen dismantled them 62-20 in their final meeting. But the teams still meet once in a while in hockey. For UConn, the meeting means everything. In the few seasons where they’ve beaten UMass, a Hockey East team, it’s been the highlight of the season. When UMass plays the Huskies however anything less than a throttling of the perennial Atlantic Hockey also-ran is an embarrassment. Until UConn gets serious about hockey, it’s tough to see these two programs being major rivals. UMass and the Catamounts have a storied rivalry that dates back to when both teams were top teams in DII. One of my favorite articles to come out of the Daily Collegian in the past decade was this piece by Jeff Howe, now of NESN, on the rivalry between these two teams in those days. The powers that be paid homage to those earlier days by setting up an annual game between the teams during the week of Thanksgiving back in 1996. When the Catamounts jumped to Hockey East, the annual Turkey Tuesday game was fit into the league schedule. While the teams haven’t played games of great magnitude as they did in earlier times, they do play some exciting ones. Three of four meetings from 2008 to 2009 went to overtime. If you want to talk historical rival for UMass, this is probably it. So there you have it. Who is UMass’ rival in hockey now and hopefully in the future? Did I miss a team? Did the annual battles for 8th place create a connection with Merrimack? Will UMass continuing its annual series with Quinnipiac create a rival in the Nutmeg state that UConn has been unable to fulfill? 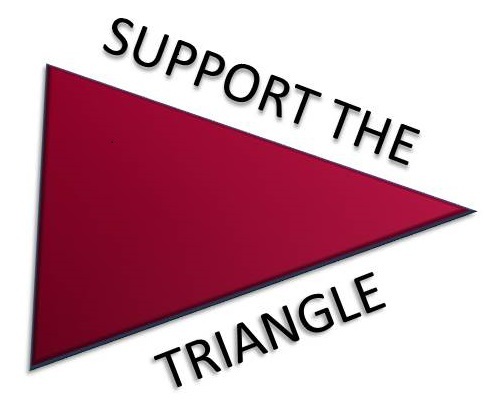 Please make sure to visit the poll I’ve set up on the Fear The Triangle Facebook page to vote on who you think is UMass’ rival. Next week I’ll come back with the results and clue you into who I consider to be UMass’ biggest rivals. The Blaise MacDonald’s hiring is covered by the Gazette, College Hockey News, and USCHO. A writer from The Hockey News is reporting that Brandon Shea, who visited UMass before committing to BC, is bolting to Moncton of the QMJHL. On the surface this is great for UMass since they won’t have to go up against one of the best amateur players from the state of Massachusetts. Yet, I still hate to see major junior poaching young American players who have already committed to college hockey (like John Carlson or Zack Phillips to name a couple). This is a big surprise to me since through some personal connections I’ve been following him for a while years and had always heard he was likely going to BC, even before he was the age of 10. It’s certainly a loss for BC, but a loss for college hockey as a whole. The Northern Michigan Wildcats will officially be joining the WCHA as of 2013. This move reunites them with their traditional rival, Michigan Tech. Let the Yoopers rejoice! You do a nice job of articulating the UMass relationship with each of the potential rivals. It should be Lowell, but given their Merrimack Valley local rivalry, it is a bit tough to “claim” them. I’m not on FB, but I would probably vote for UVM- the two most recent teams to join HE, the D2 tradition, the tuesday turkey week game, and their lack of a clear rival all suggest we should focus on building a more official rivalry with them. Great article. The curse is that the BU-BC and UNH-UME rivalries are the perenially four best teams in the league, meaning it is difficult for the last 6 teams to have enough important games against each other to establish real rivalries. The crowds that UMass draws for BU and BC games are incredible, but they aren’t reciprocated by those two teams when we play there. The annual turkey tuesday game vs UVM would be great if more people were on campus for them. Everyone either has left for home or has their foot out the door for that game. For some reason I am still tempted to say UVM would be our best rival (the fact that I say “best” attests to the fact that we really don’t have one). I’d say UVM is the best shot of a rival for UMass – both good schools and really, location-wise the best geographically. It’s hard to muscle in on the longer-established rivalries on the coast, BC-BU, especially. That all can change of course if/when UMass is fighting for the top spot in the league year-in year-out. Lately it’s been a BC/UNH/BU dominated party. And hey, that rink you guys get walloped at is in Boston, not Newton. I’m snooty about geographical boundaries! Reservoir is the border, no? Good thoughts on the rivalry. Not too much different than mine. Thanks Snoots! Conte’s technically about 10 feet over the line in Brighton, apparently. The line basically bulges around the stadium and then recedes back to the reservoir’s south bank. It’s technically in Boston if you really want to call it that. I’m gonna go with a wild card: How about UMass-Quinnipiac? I already hate them from that overtime game two years ago, plus, I think they’re playing after Thanksgiving for the next few years.